Also, I'm going to nag you to be sure to use a wild-caught salmon. The kind from Alaska are a "Best Choice" according to the Monterey Bay Aquarium Seafood Watch, which helps consumers choose sustainable fish. While some farmed salmon gets a "best choice" from the aquarium, I prefer mine wild caught. The flavor is richer and the fish have been eating what fish are supposed to eat, not fish-food pellets that contain (most likely genetically modified) soy. Wild-caught salmon is worth the extra expense and it's easy enough to find. We buy ours frozen at our local supermarket. I just check the Seafood Watch app to make sure it's on the "Best Choice" list. Step 1: Click on the RSS feed button. 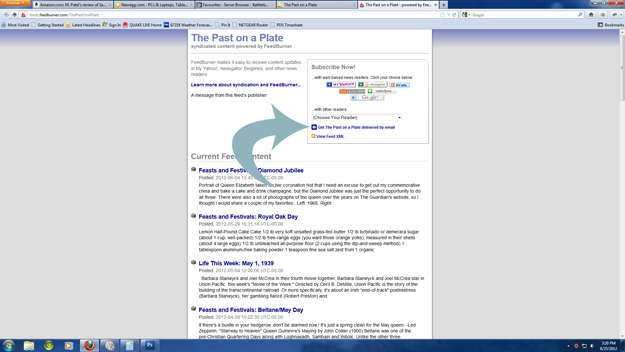 Step 2: Click on "Get The Past on a Plate delivered by email." This will lead to a pop-up window where you can enter your e-mail address. Girl. It is hot. Super, stupid hot. I've spent most of the day inside (i think it got to 104 here?) and looks like we're in for a week of this. This salmon looks so tasty! Your comments about wild salmon remind me of an interview I heard on NPR the other day. It was about a fish farm in south america with 'the best tasting fish' because basically, they just left the fish alone and let them feed off of nature. It seems so simple...so why do people make it so hard? Wow that's hot. It's been sizzling here in NYC as well. I love that you used wild caught salmon. right on. The salmon is perfect for this dish, I have lots of salmon recipes at gourmandia which are very yummy like this! It's boiling hot here in New Jersey as well. Not fit for man nor beast. But this recipe sounds delightful. Can I come over when next you make it?? Lauren, do you know Ryan's blog WORDSMITHONIA? He too lives in Wichita, I think. 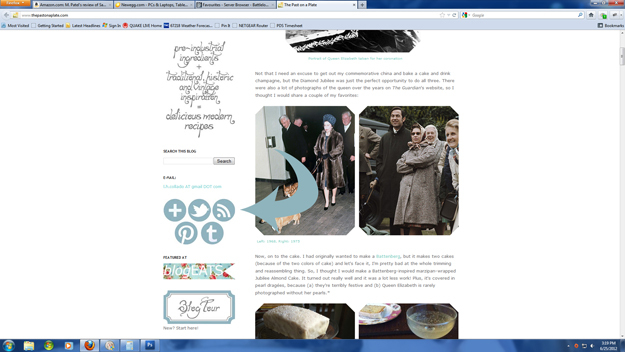 Two bloggers on my list from Kansas. Who knew? I'm going to try this sometime soon. You can never have too much salmon. Yvette said I should come by. Lauren, thanks so much for the great recipe. 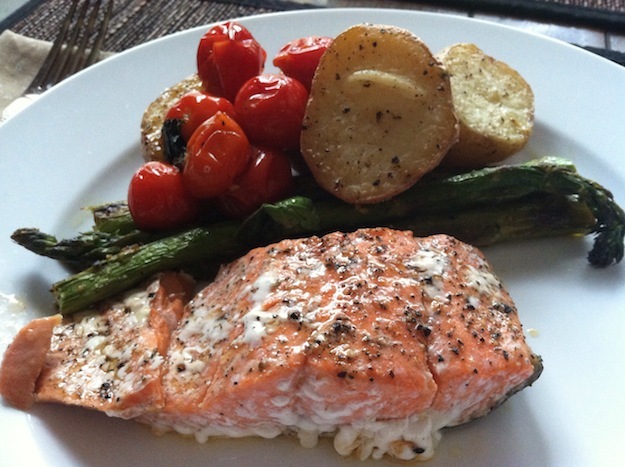 I always use wild caught salmon when I make it. Farm raised just doesn't sound right to me. Hope you are having a good summer!